Luke Moretti and Andrew Blakeley had the two Humiliation goals, while the first two Souldiers goals were scored by Steve Harkness. Wheatfield Souldiers Jimmy Murphy, Rodney Merchant and Steve Harkness celebrate their team's Cup-claiming 4-2 victory over the Humiliation. Harkness (right) scored the 1st and 2nd Souldiers goals. For the Humiliation, the game represented the team's fourth appearance in the league Final, three of which have pitted them against the Souldiers. Earlier in the evening, the Jokers defeated the Parkdale Hockey Lads 4-2 in the Bronze Medal Game, while the Parkdale Porcupines claimed victory in the Consolation Final, dispatching the Gas Station Islanders by the evening's most popular score: 4-2. 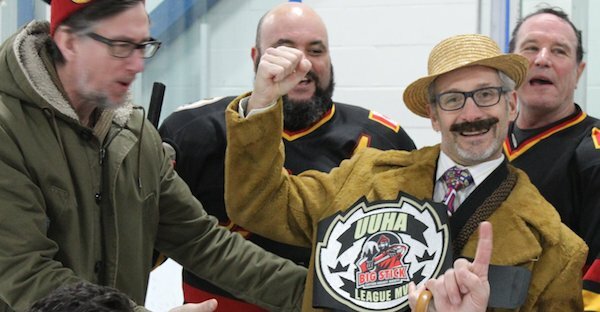 Also, though not playing due to a lower-body injury, Jokers sniper Steve Levine was on hand to accept the 2017/18 UUHA League MVP belt, an honour determined by ranked ballots cast by the GM's of the league's eight teams. Humiliation goaltender Luke Smit, and Souldiers goaltender Sheldon Shurland (last season's MVP) tied for runner-up honours, while the five other finalists - the Pines Adam Thrasher, Ian Seeton of the Lads, the Hack's Aaron Foster, GSI's Dominic Chartier and the Brockton Rockets' Dustin Harris - each received a number of votes as well. Prior to the games, players and officials gathered at centre ice to observe a moment of silence in honour and memory of the victims of the Humboldt Broncos' devastating bus accident. The provincial flag of Saskatchewan was also hung in the timekeepers' box as a tribute throughout the evening. 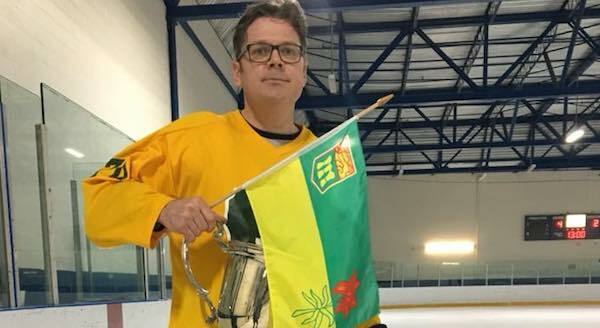 Souldiers captain Chuck Molgat displays the Saskatchewan provincial flag that hung in the timekeeper's box throughout the evening of the UUHA's final night of games. Teams gathered at centre ice prior to their matches to silently reflect on the tragedy that befell the Humboldt Broncos the previous day. 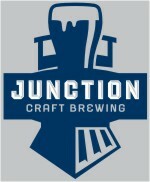 Later, the Souldiers took to social media to dedicate their Cup win to the devastated SJHL team. 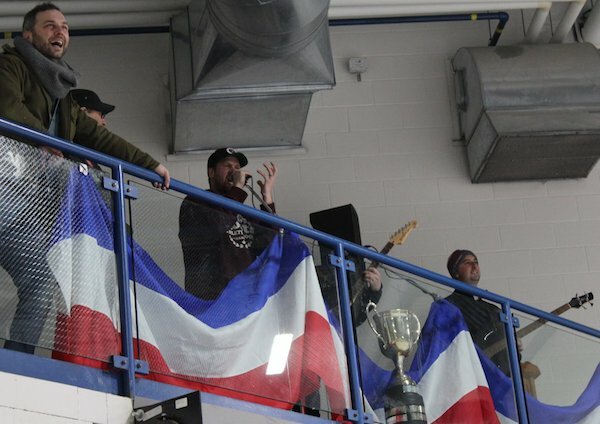 Members of the Parkdale Porcupines rocked the rink with live musical accompaniment throughout the Championship Final match between the Humiliation and the Wheatfield Souldiers. Earlier in the evening, the Porcupines defeated the Gas Station Islanders 4-2 in the Consolation Final.